These would be an irrelevant measurement if film and digital could see what our eye sees, but they don’t. So we must first understand the capabilities of the film and digital we use and what range these mediums are capable of handling. When using multiple lights you have a key, or main light, and a fill light. You measure the difference between these two lights by using light ratios which are measured by the difference in brightness between highlight and shadow. Since the key light is always the brighter, a 2:1 ratio means the key light side of your subject has twice the amount of light, or 1 more f/stop in value, than the fill side. 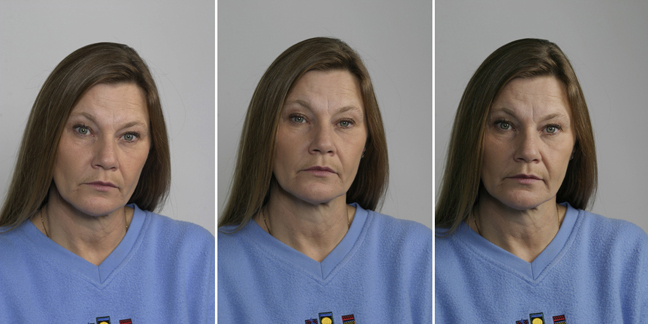 This ratio is the most commonly used when shooting basic portraits. You can increase the contrast on your subject by adjusting your lights to a 3:1 ratio. The shadow side of the subject would be 1.5 stops darker than the key side and 4:1 would be two stops darker. 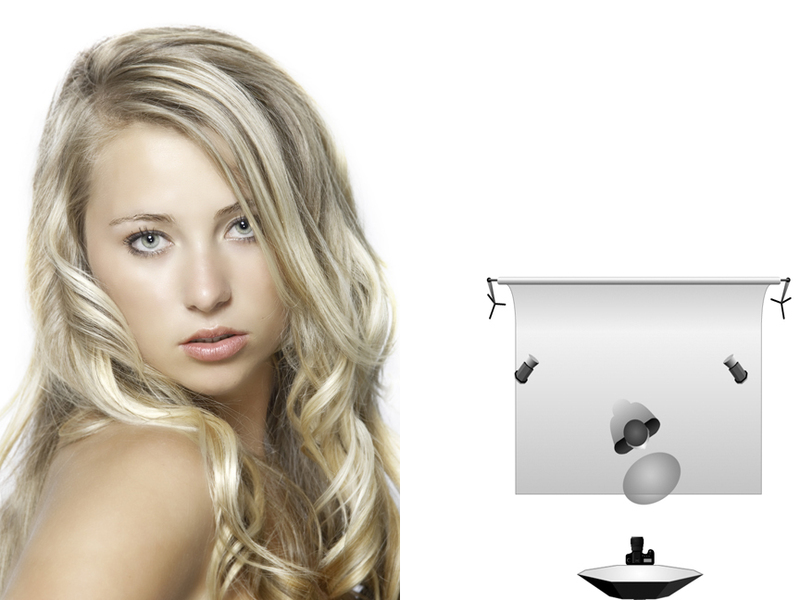 In these examples, you can see the difference in lighting ratio as the fill light is cut back. The left image is 1:1, middle is 2:1, and right is 3:1 ratios. When you photograph a subject, you can make the decision of whether to face their body towards the key light or opposite of it. Again, if you have a large person you can minimize this by having their body face away from the key light, essentially placing their chest in shadow and this will minimize their size. You can also do the opposite to a slender person by purposely face them towards the key light. These are not rules, rather techniques. I shoot 99% of my portraits facing the key light. Knockout white backgrounds are very popular for glamour and fashion photography. This image was lit as described above; one light on each side of the background to make it white.